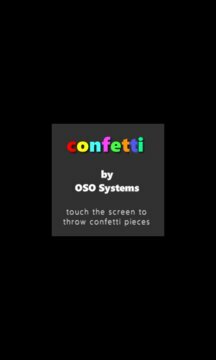 Touch the screen to throw colorful confetti pieces. 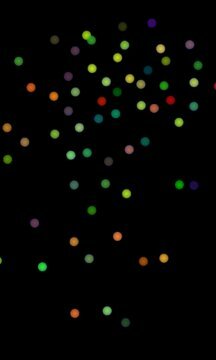 Confetti pieces fall down reacting to how you hold your phone. Use many fingers at the same time. Now with 15 different confetti types.